Inside the ARC Mini R2 is where I really start to fall in love with this case. Nearly the entire case is modular. Not only are you able to remove the two drive caddies, each of which holds 3 hard drives, but you are even able to remove the 5.25″ drive rack to make radiator installation a breeze! To get this sucker out, you have to remove the front bezel, remove a few screws, then it can go. The upper hard drive caddy is removable/movable via two very tight thumb screws. 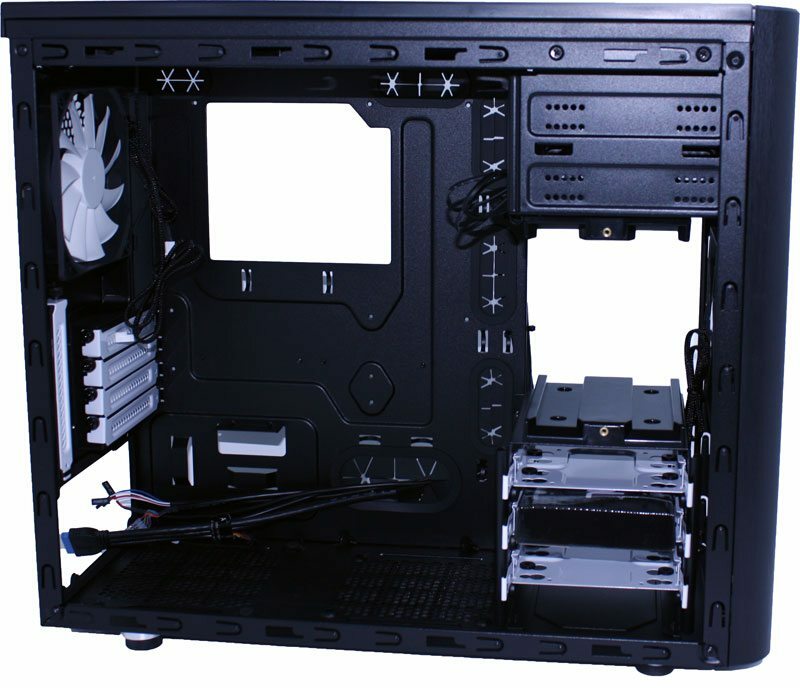 It can be installed with the trays facing the motherboard, facing you, or gone completely. The bottom caddy requires a bit of effort to remove; two screws on the back side and four on the bottom. 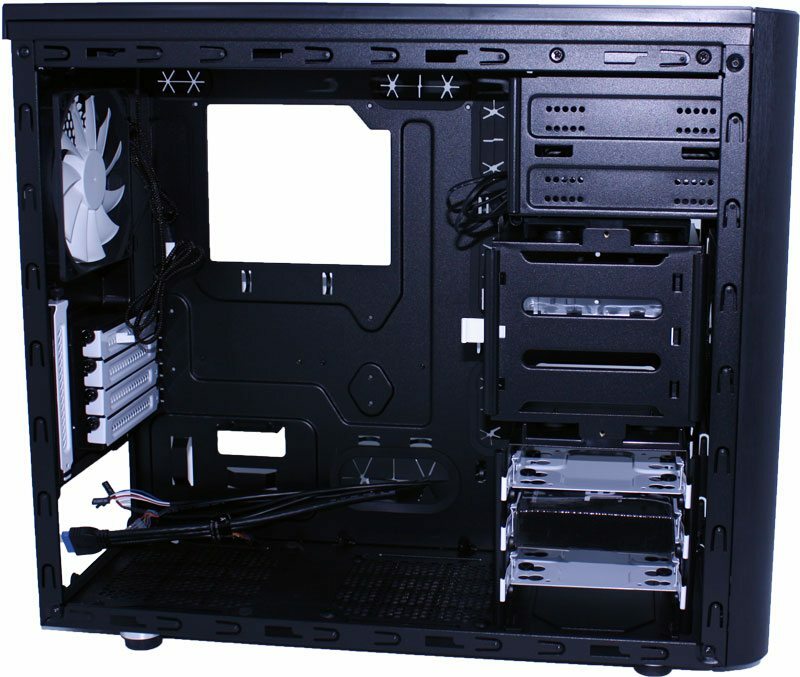 Keeping the theme alive, Fractal Design has outfitted this case with the same drive trays found in the DEFINE R4. The trays are painted with the same heavy white paint as the expansion bay covers and outfitted with rubber grommets to reduce noise due to vibration. Each tray is capable of housing a 3.5″ or 2.5″ hard drive. The motherboard tray features a HUGE cutout for easy access to your larger than life heatsink and a total of six completely grommet-ed cutouts for clean wiring. There are no sharp edges to be found and the large number of cutouts makes cable routing easier. Additionally, there is added room (20mm) and a special surprise on the back side of the motherboard tray to help keep your other side panel from bulging with cable clutter. On the back side of the motherboard tray is a your hidden gem. Here you find the two “hidden” 2.5″, but obviously labeled, drive trays. Both are held in place by two screws each. 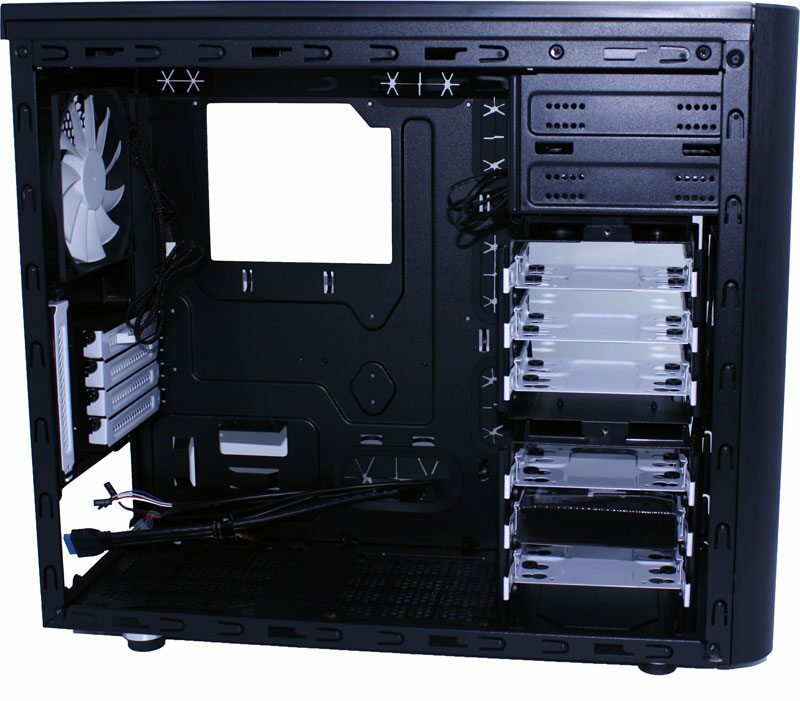 Similar to other offerings in the Fractal Designs lineup, this case sports the same white expansion bay covers and again, they are held in place by thumbscrews. I was really hoping this case would have some tool-less features implemented here instead of the same old fare. Again we see the PSU propped up just a hair from the bottom of the case by some rubber feet. This will help to increase airflow around the PSU and these rubber feet will assist in keeping vibration to a minimum and help to keep from scratching up my 1000 watt PSU too much. Next Manilla is Closing its Doors, What Now? 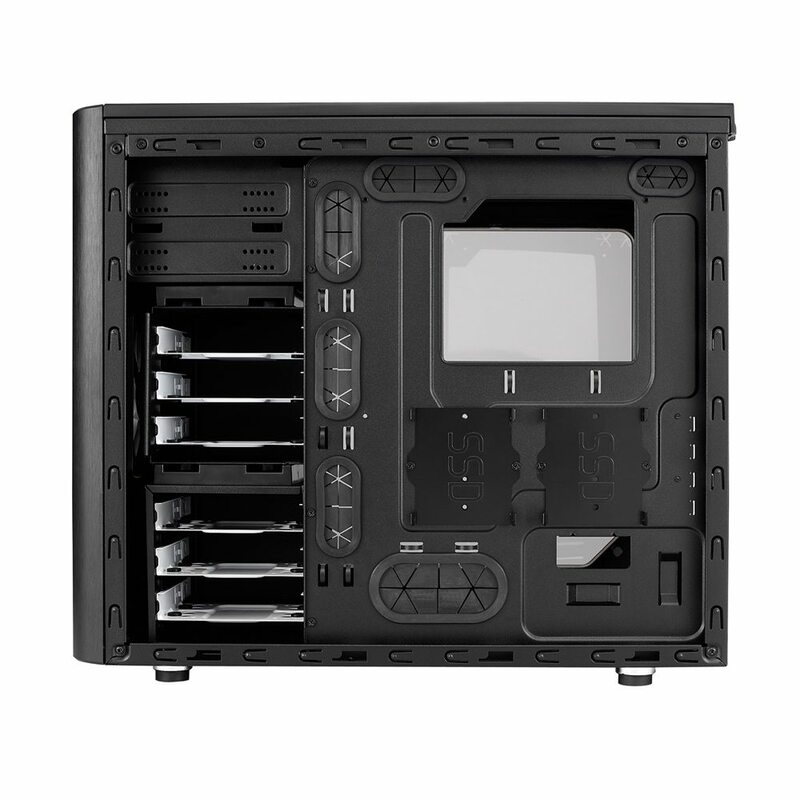 If you are looking for a Micro ATX case with tons of options, superior build quality, and exceptional looks... look no further, you have found your next case.